There are many home insurance offers on the market. With so many choices available though, it can be hard to work out when you are getting the best insurance deal. This article will cover how to find the best insurance deal and other money saving tips to keep your insurance costs within budget. If you want to get the best deal on home insurance and make sure that you don’t go over budget, it is absolutely vital to shop around. If you accept the first insurance deal that’s offered to you, you could be missing out on potentially large savings elsewhere. 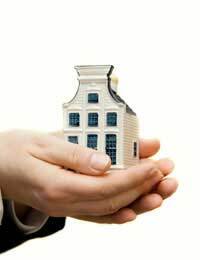 One way to compare different home insurance deals is to use online comparison sites, of which there are now plenty. Using these sites to compare deals is one thing but you’ll need to follow up by calling the company and checking that the information is up-to-date and that you are eligible. Insurance dealers may also be able to offer an even better deal when you speak to them in person. Don’t make an insurance decision without getting at least three different quotes. The level of home insurance cover you take out will affect the price that you pay. It’s important to be clear about the level of cover that you need before you start shopping around. There are different levels of home insurance. For example there is buildings insurance which insures the house itself, whereas contents insurance insures the possessions within the home. If you are a homeowner you will almost certainly need buildings and contents insurance but tenants should only need contents insurance. You can also insure the house up to different values. The higher the level of your insurance the more you will pay. You need to pay the higher insurance premium each month to have them covered. An example might be that you have a laptop worth £300. However, you want your home insurance to cover the laptop if you take it out of the home. Premiums like this are generally high and it might actually cost more than £300 for the insurance over a few years. Make sure you don’t pay for insurance cover that you don’t need. The less risk you are to a home insurer, the lower your premiums will be. Some matters are out of your hands, such as the crime rate in the area you live in. However, there are practical measures you can take to keep home insurance premiums as low as possible. Make sure your home is fitted with working smoke alarms. Have an electrician check your wiring annually as well.Additionally, make sure your home is protected against burglars as far as possible. Install burglar alarms and door and window locks. Avoid buying a house that could be prone to subsidence. A survey will tell you if a house is subsiding. These days homes can be at risk of floods and other natural disasters. Bear these issues in mind when choosing the location of your home. Join or start a neighbourhood watch scheme. Many insurers offer discounts for this. Ask your insurer about their policies. Some, for example, offer lower insurance premiums for households with dogs or non-smokers.